Once packed, a shipping box or a full case for parcel carrier orders needs to be fitted with a carrier label. A “box packed” status update received from the warehouse control system (WCS) triggers the host to generate the shipping label and prepare the print file for Inther LC before the box arrives at the print & apply unit. At the label applicator, a stationary scanner identifies the license plate. 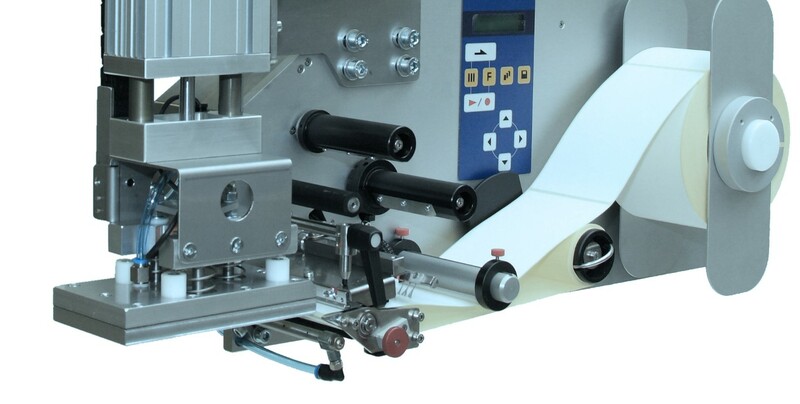 This allows Inther LC to retrieve the prepared print file and the associated barcode tracking number and instruct the active print & apply unit to process the label. The boxes travel short-side leading using side guiding in combination with a skewed roller section, enabling them to be precisely aligned for proper application of the carrier labels on the top right-hand side of the shipping box. Labeled boxes are subsequently scanned (license plate & barcode tracking number) to verify correct placement of the right shipping label. As an international system integrator, at Inther we strive to achieve the optimal result for your logistics. Our expertise encompasses all aspects of management, transport, storage and distribution of goods. Fast implementation and a demonstrably short payback period are characteristic of all Inther projects.